CEO's BlogHome » CEO’s Blog » CEO’s Blog » Is All Fundraising Considered Charitable Solicitation? 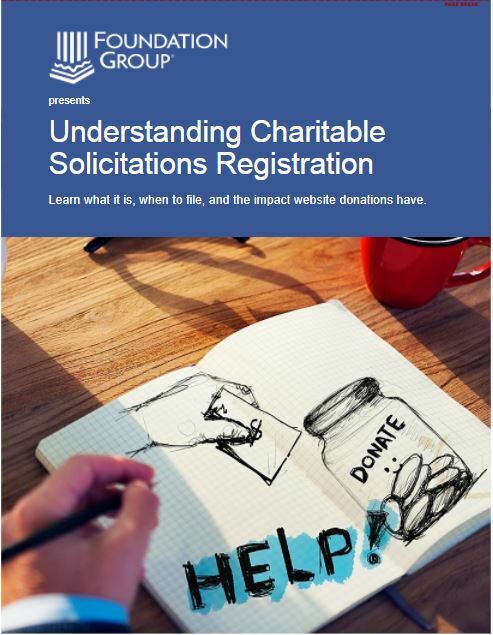 When it comes to fundraising, what constitutes a charitable solicitation? 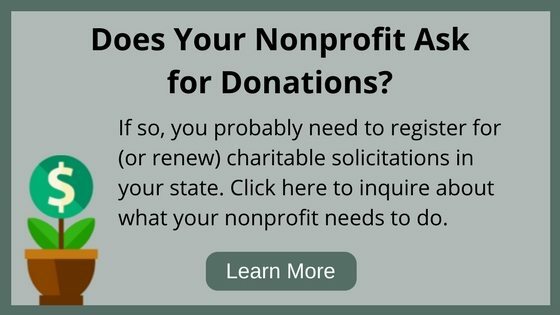 In other words, when does the “ask” really become an “Ask” that requires a nonprofit to register with a particular state’s Division of Charities? 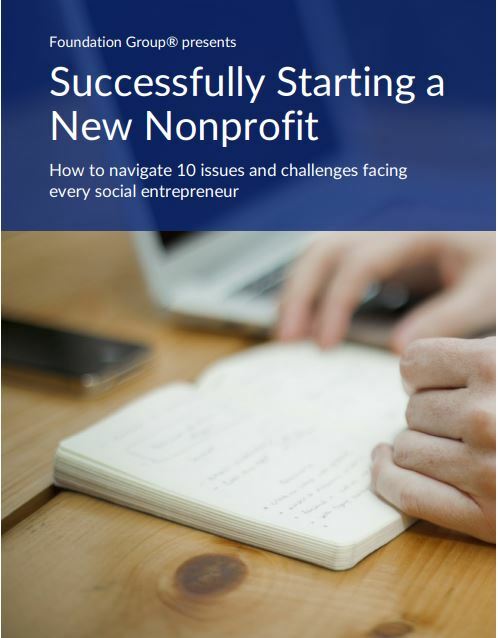 We are frequently asked by new clients whether or not their current level of fundraising activity puts them in a situation of needing to register their organization. Simply put, it’s pretty much any level! 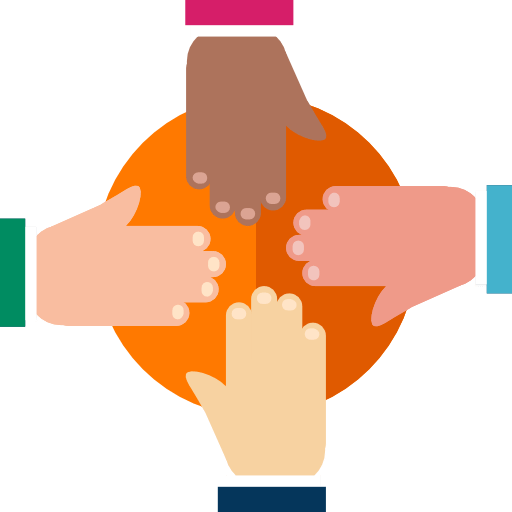 Essentially, any fundraising overture made toward a person individually, a group of people, or to the public at large, that asks for a donation is considered a solicitation. This can be verbal in the case of face-to-face contact, a request for financial support in a group setting, or maybe as part of a presentation to a conference audience. It may be a written solicitation if we’re talking about a direct mail campaign. Also, it could be visual. Think media advertising, websites, or social media posts. Whichever way it is delivered, it is probably considered a solicitation. This is also true for fundraising events, like golf tournaments and silent auctions. They, too, are a form of solicitation. Even if your event is dual-purpose…both program-related and fundraising…it still likely constitutes a solicitation. So, Which Comes First…Solicitation or Registration? Without question, the answer is registration! Each of the 41 states that require charities to register in order to solicit donations expects registration to proceed any fundraising activity. Now, as we mentioned in the first installment, nonprofits are only required to register in states where they are actively soliciting. If your nonprofit is only going to directly seek donor support in your home state, register there. Once fundraising activity begins to expand to other jurisdictions, only then does it make sense to expand your footprint of registrations. Just don’t forget to do it. As we stated before, penalties for noncompliance are painful reminders to follow the rules. This is another frequently asked question by clients. Assume your charity is incorporated and operating in California. You have IRS 501(c)(3) status, and you’re properly registered with California to solicit California donations. Without asking for it, a check for $1,000 shows up in your nonprofit’s PO Box from an unknown donor in Georgia. But, your organization is not registered in Georgia. Is that a problem? Well, not yet. Simply getting an unsolicited donation from a resident of a state in which you are not registered does not constitute as solicitation. But, the moment you reach out to that donor and encourage them to give again, no matter how informally or subtly, it is now a solicitation. This is a tricky situation. Obviously, you will want to thank the donor. But do you include a new ask? First, is it worth risking a solicitation without registration? No, probably not. By the same token, is it worth following the rules and registering in a state just for the purpose of courting one donor? Maybe, or maybe not. I guess it depends on how significant the potential future donation could be, or how important it is to nurture that donor relationship. That’s a subjective call for the organization to make. 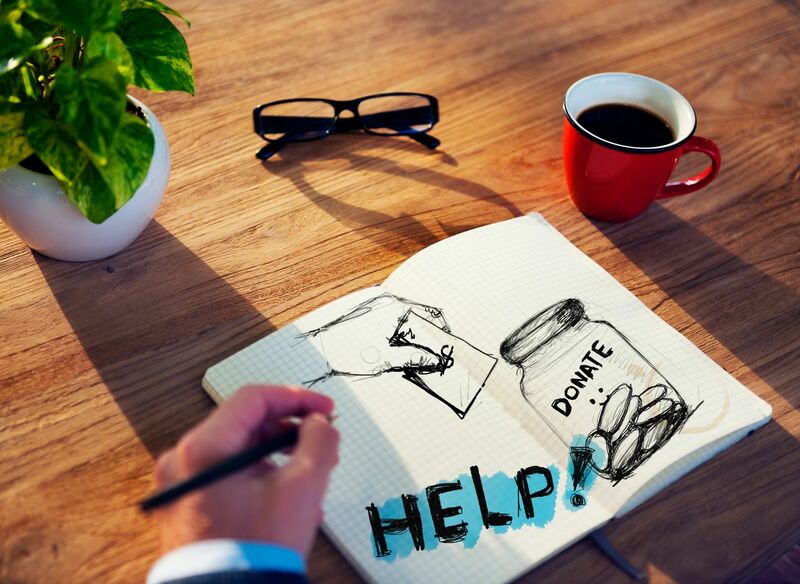 Understanding that practically all fundraising activity, however incidental, constitutes solicitation is the first step in making sure your organization maintains proper compliance in this critical area. What if the organization you solicit funds from is registered in all states? For example, if we applied for a grant from an organization in Colorado but its headquarters is in California, would we need to have CS registration in Colorado as well as California? Another example, if the organization is a Federal Government agency, therefore registered in all states? Typically with grants, you don’t have to be concerned with out-of-state compliance filings, unless your grant application is totally unsolicited. A bigger point, though, is that the registration status of the organization you’re seeking a grant from has no bearing on your organization’s need to register. If you are soliciting for donations in any state with a registration process, your nonprofit probably needs to register there. What do you recommend for charities that have a ‘donate’ button on a website? Is it necessary to register in all 41 states that require it since a contribution can be coming from anywhere? Good question, indeed. The quick answer is: probably not at first. The long answer is too long for a comment section. Stay tuned for Part III of this series next week where we answer that question in detail!